The tongue is the organ of taste. Perception of taste is also known as gustation and in a similar manner to smell it depends on chemoreceptors to detect specific chemicals from the environment. Specialised epithelial cells (Taste cells) detect these chemicals (tastants). In aquatic animals there is no distinction between olfaction and gustation. Insects use sensory hairs on their feet to taste. Taste probably evolved as a means for animals to detect whether what they were about to consume should be ingested or rejected. In mammals, taste cells are clustered into taste buds which are scattered around the tongue and mouth. These taste buds are located very slightly beneath the surface of the tongue, a taste pore allows tastants to access the taste bud. Taste buds are further localised onto raised clusters visible on the tongue, these are known as papillae. Differently shaped papillae are located at different sites on the tongue. Mammals are able to detect the four conventional tastes (sweet, sour, bitter & salty) as well as ‘umami’, which is considered a savoury taste. 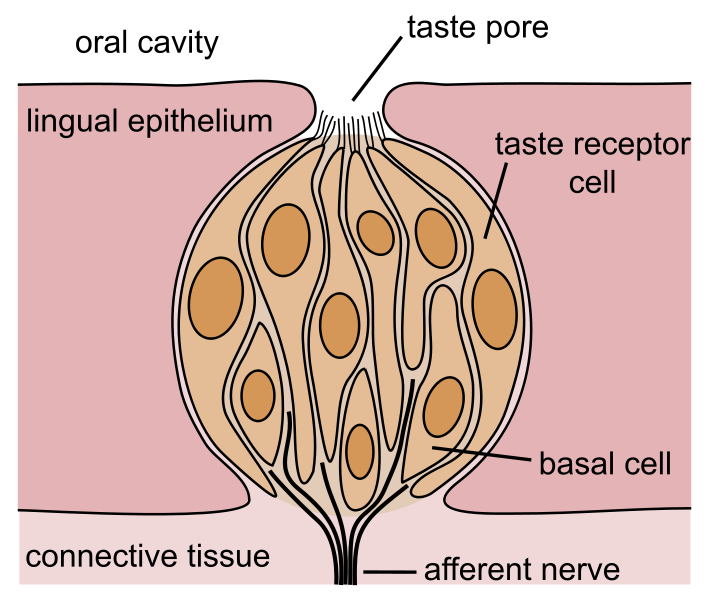 The sensory receptor cells (taste cells) which make up the taste buds contain smaller receptors in their plasma membranes. These receptors are specific to one of the above tastes. When a tastant arrives at one of these receptors, it binds to it, resulting in a secondary messenger cascade. The receptor is coupled with a G-protein and the binding of a tastant activates the G-protein, beginning the secondary messenger process within the sensory receptor cell. The G-protein eventually activates phospholipase C which in turn generates a secondary messenger known as IP3. IP3’s role in this secondary messenger system is to open IP3 gated calcium channels on the endoplasmic reticulum of the cell. Opening of these channels causes Ca2+ to leave the endoplasmic reticulum and enter into the cytoplasm of the cell. Ca2+ also acts as a secondary messenger; it causes sodium channels to open allowing an influx of Na+ ions. 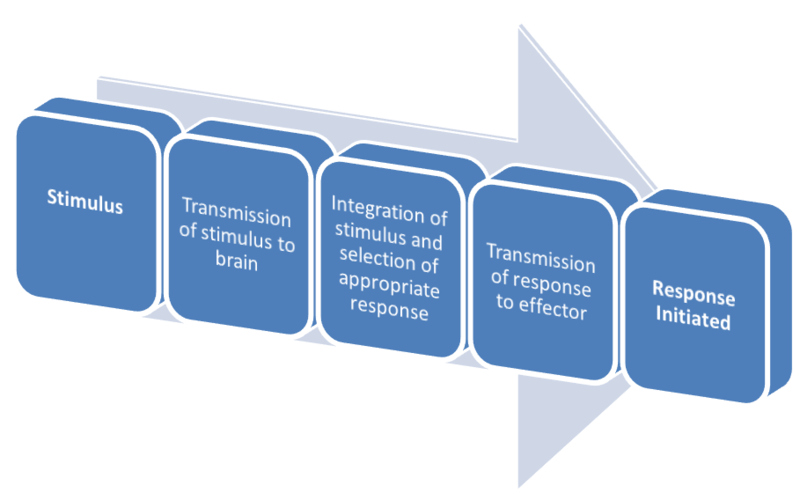 The sudden influx of Na+ ions causes the sensory receptor cell (taste cell) to depolarise, this depolarisation results in the local release of neurotransmitters (as taste cells do not have axons). 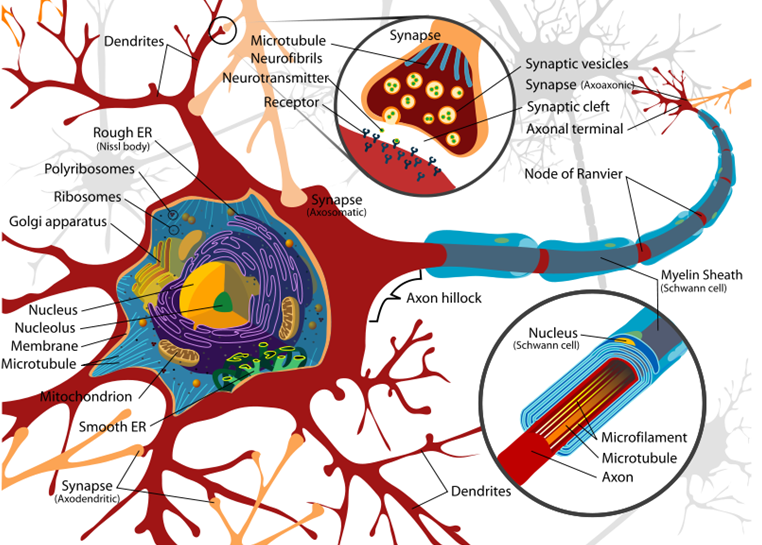 This excites local sensory neurones which generate action potentials in response. The axons of these neurones bundle together to form part of the facial nerve (VII), the glossopharyngeal nerve (IX) or the vagus nerve (X). Which one depends on the origin of the axon, anterior taste is carried by the facial nerve (VII) and posterior taste is carried by the glossopharyngeal nerve (IX). The throat/ epiglottis are dealt with by the vagus nerve (X). The gustatory cortex (via the thalamus) – Here taste is integrated and perceived as a taste. 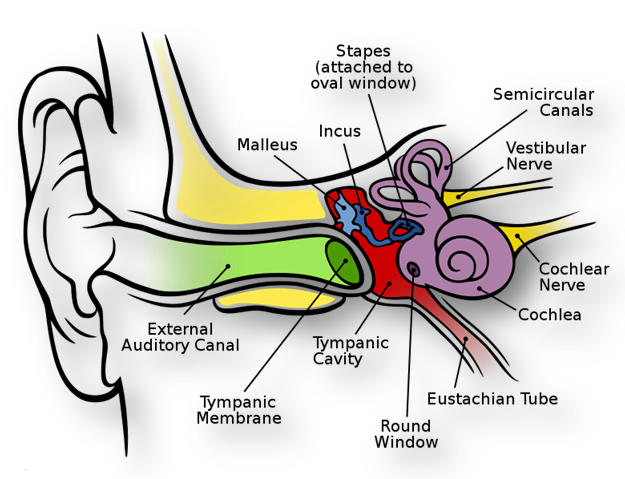 The Limbic system (especially the hypothalamus) – Emotional responses to taste (e.g. pleasure) can be elicited from here.